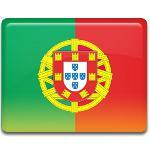 December 1 is Restoration of Independence in Portugal. This holiday celebrates the end of the Philippine Dynasty (House of Habsburg), that ruled the country from 1580 till 1640. Portugal was ruled by Spanish kings between 1581 and 1640 after the death of young King Sebastian I of Portugal. He had no heirs, that is why the control of country was gained by Phillip II of Spain, who claimed the throne referring to the family ties. The territory of Portugal was seized by Spain and since 1581 it was considered as province headed by the viceroy. Portugal gained its independence only after numerous revolts against the Spanish on December 1, 1640. The period after restoration of independence was marked by periodic skirmishes and episodic serious warfare between Spain and Portugal. It lasted till 1668, when Spain abandoned to isolate Portugal military and diplomacy. Restoration of Independence belongs to one of the revoked in 2012 holidays. It was celebrated in 2013 but it is not yet considered as a public holiday. The following debate and re-evaluation are scheduled to 2018.